I just backed the Echo H2 lactate measurement strip on IndieGogo— and I think you might want to consider doing the same thing. Here’s a quick review about what it promises– and how it differs from the BSX Insight (which I also supported– and still super-excited about). You may remember that, back in September, I blogged about the BSX Insight, which is due out next month. 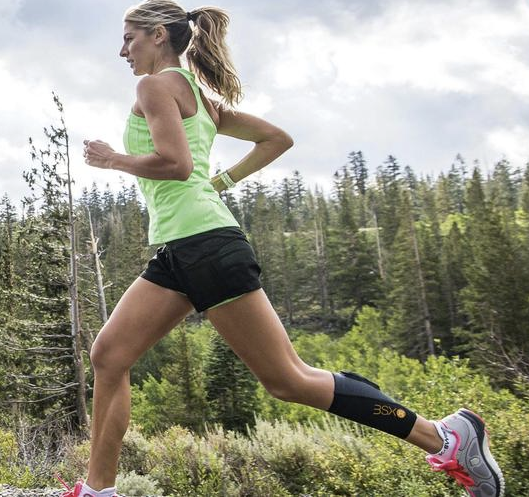 Assuming that it keeps up with schedule, it will be the first wearable lactate threshold measurement device to hit the market. Now there’s a new kid on the block– the Echo H2. It also measures blood lactate– as well as blood glucose, hydration, and a few other key variables. I’ve backed both projects. Even if the BSX Insight hit Kickstarter today (after Echo H2 hit IndieGogo), I’d still back both projects because they purport to do slightly different things in slightly different ways. Here’s why you may want to support them both too. Disclaimer: While there’s been a lot of reviews of the BSX Insight, including hands-on testing by DC Rainmaker, there’s been relatively little hands-on reviews of the Echo H2. This shouldn’t be surprising because the BSX Insight is a lot further along in development. What Does the Echo H2 Promise? The Echo H2 comprises two parts– a disposable, adhesive H2 sensor strip that’s good for about seven uses and a clip-on Echo pod. 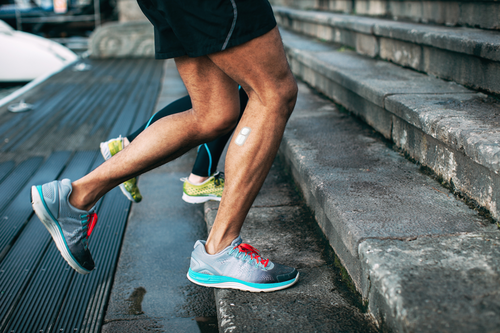 The H2 sensor includes special printing that chemically measures hydration, lactate acid, and blood sugar in realtime based on your perspiration. While they are disposable, the H2 strips are cheap– less than $2 a strip. The Echo pod measures motion, heart rate– and presumably includes the Bluetooth LE wireless transmitter. It also appears to be the more expensive component. How is Echo H2 Different from the BSX Insight? Apart from the fact that that Echo H2 measures a number of different blood values (glucose, hydration, etc), the important one is blood lactate because, as I’ve mentioned before, it’s really the holy grail of blood values. But there is a big difference in how they measure those blood values. The BSX Insight uses a special photo-measurement device that reads your blood’s light-absorbing properties. The Echo H2, by contrast, analyzes your perspiration chemistry. I’m certainly no expert in blood chemistry and, while I’m excited about the possibilities of both technologies, my gut says that there might be some limitations to each of these technologies. From what I understand, BSX Insight doesn’t measure blood lactate directly– instead, it measures other blood chemistry characteristics that correspond closely with blood lactate. This is perfectly fine as long as the algorithms for making the adjustments are accurate and reliable. This is where there’s a possible hiccup– but BSX Insight states that they have refined their algorithm after testing it on hundreds and hundreds of athletes. On the other hand, the Echo H2 uses sweat chemistry. Presumably, this means that they are measuring lactate directly. While this might appear more accurate, I suspect sweat chemistry respond a little more slowly to rising lactate levels than directly looking at the blood optically. I can really see different purposes for the Echo H2 and the BSX Insight– and pretty good reasons to get both devices. Currently, the BSX Insight is being marketed as a lactate testing tool– you use it every few weeks and go through a ramp test. After you upload your data, you go to their site and it reveals your lactate threshold– which roughly corresponds to your one-hour race pace or FTP. But unlike more subjective tests (like the FTP test), this test actually shows what you are physiologically capable of. This information is invaluable when you’re entering a period of heavy training because lactate threshold changes frequently and you could very easily find yourself overtraining or under training if you don’t have an accurate current value. Testing myself once every three or four weeks would give me a real edge over the competition. I see myself using the Echo H2 is a very different way. In any race that lasts over an hour, it’s important to stay below your lactate threshold. In an Ironman distance race, you may want to stay well below LT while in a sprint duathlon, you may want to stay right on the edge. But you’re probably going to creep up on LT unwittingly– and an Echo H2 might be a perfect tool for preventing this from happening. For instance, how many times have you seen your competitors blow up on a long hill because they went too far over their FTP. While using sweat chemistry might not be quite quick enough to pick up on rapidly changing blood lactate levels, such as in a lactate threshold ramp test, it should be more than quick enough to pick up changing blood lactate levels during longer competitions. Plus, of course, it can help keep you out of trouble in other ways because it also reveals hydration level and blood glucose. So I can see myself using the Echo H2 on a more day-to-day basis for key training efforts and races. As of the writing of this article, there were still the $89 early adopter packages (so-called “sprinter” packages) available, which can get you started with the Echo H2 well ahead of others (target date is July 2015) and at a much lower price point. I’ve backed a number of Kickstarter and IndieGogo projects. Invariably, there are delays in production and they always seem to slip by a few months. But even if this technology get delayed, it’s important that it hits the market because it has the potential to revolutionize our sport. ← Do You Have a MAMIL/MAWIL Complex?